A three vehicle accident involving two motorcycles has injured a Liberal Woman. The accident occurred at approximately 12:40 Saturday afternoon at the US 160 and Highway 54 intersection 1 mile east of Plains. A 2016 Freightliner semi driven by Hesys Roberto Sandoval, 47, of Bell Gardens California was westbound on Highway 54, when a 2001 Honda motorcycle being driven by Joseph Edward Boyle, 56, of Garden City who was initially stopped at the stop sign on US 160, pulled out in front of semi. A second motorcycle, a 2005 Yamaha being driven by Nancy Miller, 68, of Liberal attempted to avoid the collision went off the roadway into the south ditch, through a barbed wire fence and flipped. She was taken to the Meade District Hospital to be treated for her injuries. 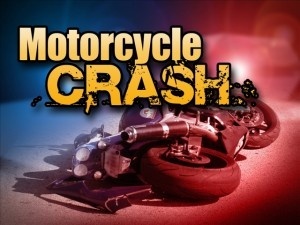 The driver of the first motorcycle, Boyle was also injured and taken to the Meade Hospital with injuries. The driver of the semi was not injured.